Country House for sale in Piemonte. 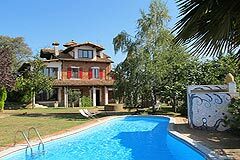 Nizza Monferrato Monferrato region (ref: 6695)- Delightful country home and swimming pool with commanding vineyard and mountain views.. Piedmont Properties in Piemonte. Property for sale Langhe and Piemonte. Map for Property ref: 6695, Country House for sale in Piemonte. - Delightful country home and swimming pool with commanding vineyard and mountain views.